What’s so great about Kendale Truck Parts? Since opening, Kendale truck parts has been one of the top sources for used truck parts in Edmonton. For over 40 years we have been operating as a reliable, trusted and well-known name in the auto wreckers industry. 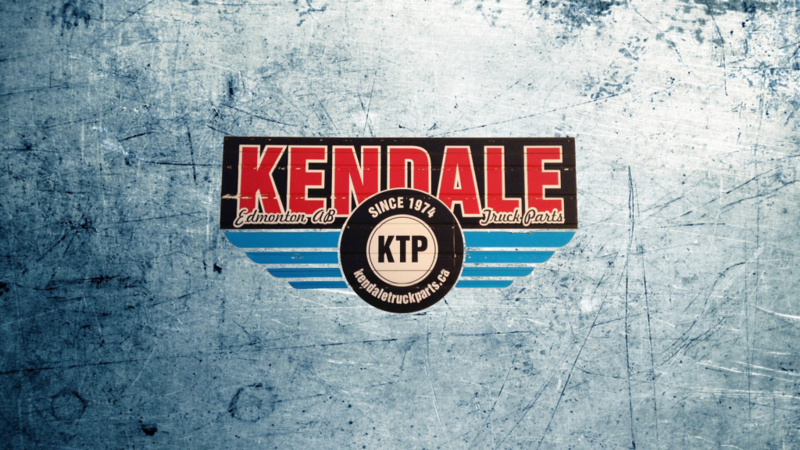 When it comes to used auto parts in Edmonton and the surrounding area, Kendale Truck Parts is one of the first that come to people’s minds because after decades of dedicated service it is a name that thousands have come to know and trust. Why go through us for used truck parts? Inventory. We have a massive selection of over 400,000 truck parts. There are a huge range of parts and brands, ensuring that we will just about always have what a customer is looking for. We aren’t your typical, old-school junkyard, we keep everything on file using our impressive state of the art inventory software. As one of the longest standing auto wreckers in Edmonton, we have made our reputation by good and honest work, excellent quality parts, accessibility, customer service and fair pricing. Customer satisfaction is no joke for Kendale Truck Parts. Do you ship used parts and used truck parts? Yes, we ship worldwide and have experience sending our parts to customers as far away as Australia. If you’re looking to have parts shipped to you, no matter how far the distance, we would be more than happy to provide you with a quote. We have tons of used auto parts and can have any part at your location within regular shipping times. Simply call us during business hours and we would be happy to assist you. Do you carry used truck parts for diesels? We absolutely do. Diesel trucks have actually been a specialty of ours for many years. We carry diesel parts for all major makes, models, and builds. As one of Edmonton’s largest auto wrecking yards we can assure you that we can quickly locate the parts you are looking for and have them ready to go as soon as possible. Not only can you count on us to have the parts that you need, you can count on any parts that come from our shop to be in excellent condition. Do you have used truck parts for older trucks? We carry truck parts that range in age all the way back to the classics. When we say we are the best source for used truck parts in Edmonton we mean it! We even have some older trucks that are ready to be restored, contact us if you want to start a project! Being a major supplier for used truck parts in Edmonton means we need to keep a massive selection of truck parts old and new in our inventory at all times. This means that we often purchase and part out several trucks a month just to keep up with demand. Do you sell Aftermarket Truck Parts? Absolutely, we carry a ton of aftermarket parts including hard to find parts like velvac mirrors. Our guys know trucks inside and out, making us a trusted source for aftermarket truck parts in Edmonton. From Mirrors to starters, windshields, tires, and more. You name it, we’ve got it. If there’s something you’ve been on the hunt for but just haven’t managed to find it the best thing you can do is contact us. Do you have inventory for used heavy truck parts in Edmonton? Can I recycle my Truck, Car or SUV at Kendale Truck Parts? Yes, and we will even pay you cash for your vehicle. We are one of the top buyers of auto salvage in Edmonton and would be more than happy to give you a quote on your vehicle, running or not! if you are looking to recycle it. Kendale Truck Parts is the perfect place to go with your tired, old cars that are just ready for retirement. Do you have a junk yard in Edmonton? We have moved away from the old junkyard dog stereotype and focus on providing certified quality used parts. However, we do store a lot of parts at our Edmonton location, as well as our dismantling and storage facility location just outside of Edmonton. Do you stock import auto parts for trucks and cars? Yes, in fact, we have an impressive inventory of import auto parts ranging all the way from trucks, cars, SUVs, vans and everything in-between. Being one of the largest auto wreckers in Edmonton also makes us one of the top sources for import auto wreckers in Edmonton and the surrounding area. Thanks to this we’re the perfect place to start your search for auto parts for import vehicles. How can I be sure your parts will work just as good as the parts I’m replacing? As members of the AARDA and the ARC, we follow strict guidelines to not only ensure that all environmental hazards are handled and disposed of properly but we also follow a thorough dismantling, cleaning and refurbishment process following AARDA and ARC guidelines and best practices. The end result is your parts working top the best of their ability. Our guys know parts, and would never try to stock a vehicle part that is damaged or worn beyond use. The satisfaction of our customers is everything, so you can count on us to do the job right. Can I purchase entire vehicles from you? We do carry a few vehicles we would be willing to sell whole, however, most of our vehicles are purchased for the purpose of dismantling and parting out to sell as used auto parts. If you would like to contact use about purchasing an entire vehicle from us, you can get in touch with us by calling the shop during regular business hours. If the answer you are looking for was not covered in our used truck parts in edmonton FAQ, contact our shop today at (780) 476-1066 or email us using the form below!